Committed to ensure that people have easy access to basic banking services at all the important public places, J&K Bank today commissioned an Automated Teller Machine (ATM) within the premises of Sadder Court Bemina. 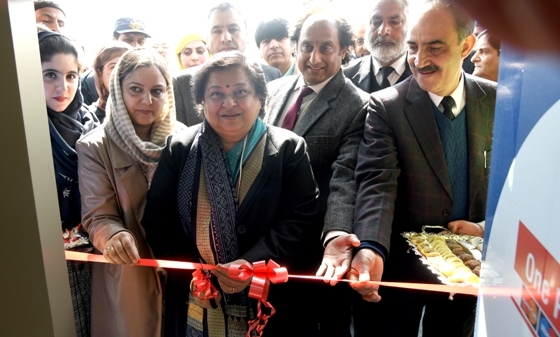 Chief Justice, J&K High Court Justice Gita Mittal along with Justice Ali Mohammad Magrey inaugurated the ATM in presence of the Bank’s Zonal Head Tabassum Nazir, Cluster Head Bashir Ahmad Sandroo and other bank officers. While extending gratitude to the bank for commissioning the ATM, Chief Justice, Justice Gita Mittal appreciated the role of J&K Bank in the improving socio-economic wellbeing of the people in the state and beyond.